Any endeavor should start with a passion else, you won’t succeed since this is the fundamental structure of your motivation. When you know you are passionate about something, start collecting it. Acquire as many as you want. Try to satisfy your craving first. In collecting coins, starting with any denominations, any countries, any form, and any values. There will come a time that among all the coins you collected, there is some group that you like best and that you are most interested of. You may now narrow down your collection to this group. By this time you may take sometime looking at the catalogue for coin values. Find the group who has the same hobby and collection as you do. 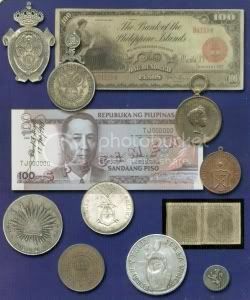 In the Philippines, I can recommend some organization that can actually help you in the process like The Philippine Numismatic And Antiquarian Society (PNAS), The Banknote Society of the Philippines (BNSP), and the Bayanihan Collectors Club. Words of caution though, never deal with Dealers at this premature stage. It is much better for you to learn the industry first before you participate in the big league. Learn the jargon and study the terminology before setting yourself to issues such as grading and authentication. Set aside a portion of your budget at least 30% on books before proceeding to more serious acquisition. Equip yourself with the proper tools such as the jeweler’s loupe, coin catalog, and other reference material. Collecting requires also financial capacity since coins especially rare coins, old coins, gold, silver, platinum, and other precious metal coins are expensive. You can sell coins from your collection especially those you are no longer interested with. It’s all right to sell part your collection because this is the only real means where you could realize the monetary worth of your hobby. It is like culling your herd, you’re just eliminating those you think are clogging your closet. Then, you could proceed to buying better and worthy coins. This is a common mistake being committed by most dealers and collectors, they are afraid of sharing their knowledge. Their reason? They think their knowledge of a particular piece is an advantage to buy that something low and sell it high. What they are not aware of is nobody would even care for it if nobody knows anything about it. So if something rare and still undiscovered is loss then, it might have been lost forever. This is most the important stage that you should learn because by this stage coin collecting is not anymore an ordinary hobby. Though this is the least homework being done by collectors. I will feature great coin investment in my coming next articles so keep visiting this site.